M-Line and the Bus Stop on McKinney Ave is located directly to the left of the Double Eagle. 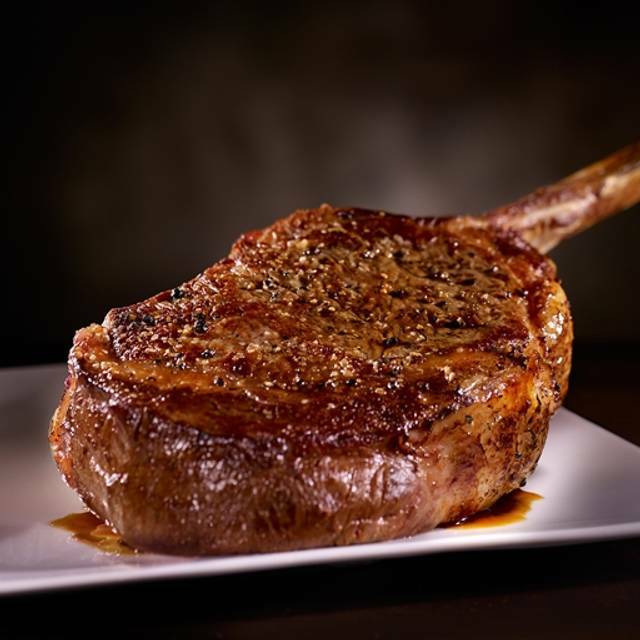 Recognized as one of the Sexiest Restaurants in the U.S. by Zagat, Del Frisco’s Double Eagle Steakhouse in Dallas is nestled in chic and pedestrian-friendly Uptown. 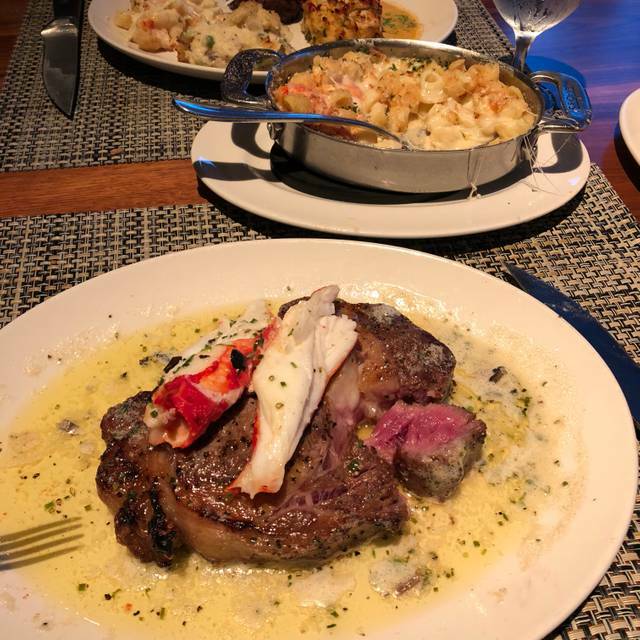 Featuring our signature service and plenty of Southern hospitality, guests can enjoy high-quality steaks and seafood while gazing at the Dallas skyline from our outdoor patio in one of the best restaurants in Uptown Dallas. Excellent food. Exceptional service provided by the waiter, Bryan. Can’t wait to go back next time in Dallas. This place never disappoints! The food is fantastic and personnel are very friendly and helpful. Matthew is our new favorite waiter! Extremely delicious food. My only complaint would be that they lost our reservation, but they were able to find us a seat anyway after a few minutes. Lovely wait staff and the food is exceptional. Great service, great drinks, delicious food and the ambiance was fabulous!! This is an amazing place with the best steak, service and great night time. Great steak house! My family and I enjoyed the ambiance and of course, the food. I would highly recommend. The environment, food and service were wonderful. The Sea bass was amazing along with the Brussel Sprouts and lobster Mac n cheese. We were also pleasantly surprised by the Butter Cake dessert. Additionally, the sommelier helped us find a great wine that was affordable and went well with both of our dishes. There were several other delicious looking options that I look forward to trying next time I am in Dallas. We stayed in Dallas for the weekend as a special occasion. 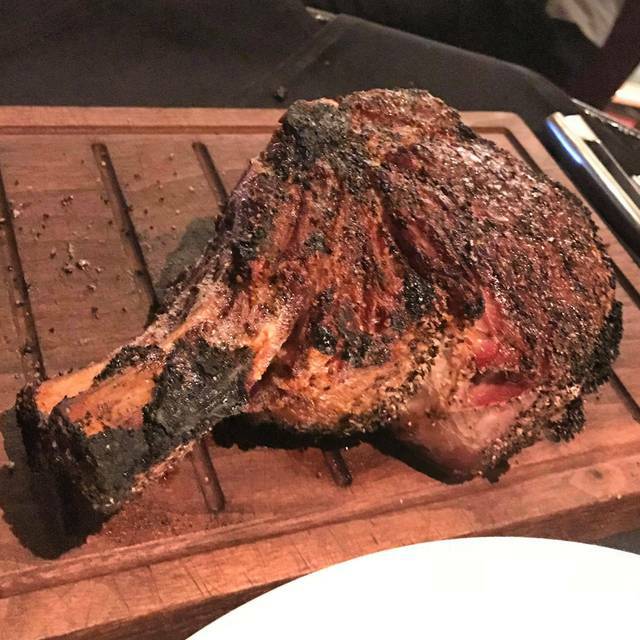 We went to Del Frisco’s on Saturday night. We Ubered over from our hotel. It was a beautiful and high class restaurant. The decor was really nice and just felt like the place was classy. We walked right in and were seated (we had a reservation). Our waiter was DJ and he was one of the best parts of our time there. He was upbeat, answered all of our questions, recommended the best ways to order food, and was really wonderful. (We gave him a good tip!) We started the date off with a bottle of Moscato. The moscato was off the charts. My fiancé ordered a filet minon and a salad and I ordered a Cesar salad. I got a few bites of the steak from him. The steak was good but was not the best steak I had ever had. The salad was a bit hard to eat because the leaves of lettuce were full leaves and I was having to cut them into smaller bites but it was tasty. We thought we would end the day that way, the DJ came out and asked if we wanted dessert. We were going to pass just because today had been a treat but he told us he put a free dessert in for us and who says not to free dessert?! He brought out a butter cake a la mode and a chocolate rum cake. The butter cake gets a 7/5 from me. It was to die for. Overall it was a beautiful evening for a date with my best friend. 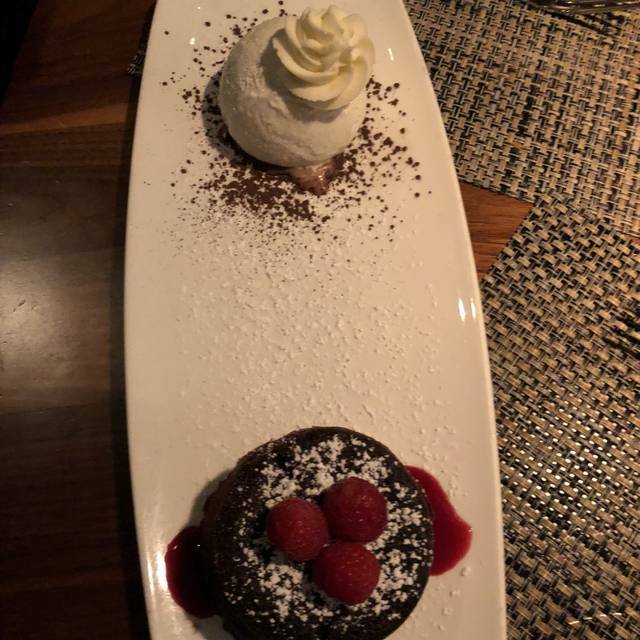 The food wasn’t the best I have ever had but the dessert was amazing. The atmosphere was what sold it for me. We would recommend it for special occasions! It was my mom’s 70th bday. We had the most incredible meal. The service was fantastic. We got a signed bday card, a magnificent dessert(s) on the house. It could not have been better! Nice to be served by the Advanced Somm Leah. Very knowledgeable and able to pair the Steak/fish orders. 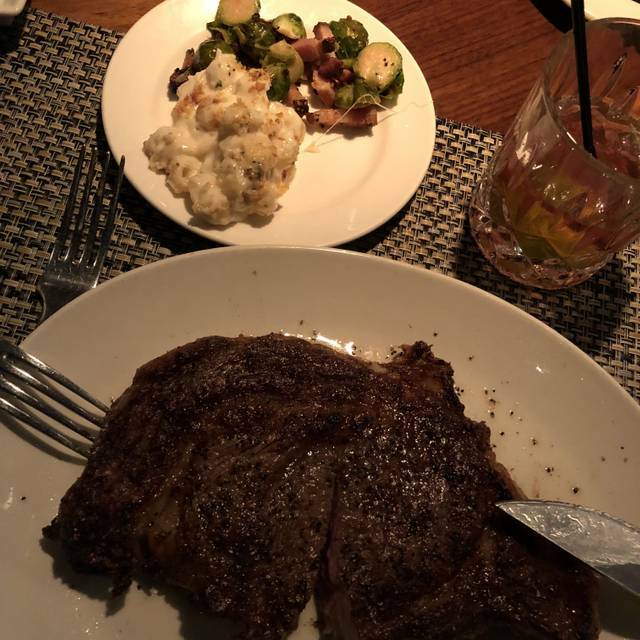 All the food was up to the Del Frisco standard of excellence. The pre-dinner specialty cocktails were enjoyed by the ladies. Best steak in town! And don’t forget to order the butter cake...you won’t be disappointed. As always the quality of food and the attentiveness of our server compels to none. Callie goes above and beyond to make sure your dining experience is just that. An impeccable experience. From presentation to the end. Excellent food and service, Nolan was fantastic and we enjoyed our visit. We will definitely be back. The lobster Mac and cheese is a must! Right from entering the front door we knew we had made the right choice to celebrate our wedding anniversary. Hostess were attentive. Service was impeccable. Food was outstanding. Del Frisco's has my highest recommendation for any dining experience. Lacked the character of the North DALLAS original. Steak was surprisingly tough, fat didn’t render. However, crab cake was awesome, our waiter was great and sommelier was good. It was my birthday and everyone made it a special occasion!! Very pleased with service staff and restaurant food quality. A wonderful place to spend a special birthday. Food was excellent! Sorry I can't remember his name, but our waiter was so thoughtful and really made our day special. Almost went to your Ft. Worth location, but so glad we made our way to Dallas. Thanks for a great celebration. Excellent experience all around. Tasty gluten free options! Outstanding dining experience.Everything on the plate was well prepared and tasted awesome!! Our first time here and it was by far, the best restaurant in Dallas all the way around. From the ambiance to the service to the food. It was all stellar. We have not experienced such an experience anywhere else, and we've been to all the top restaurants in Dallas. This was an unplanned dinner, booked our reservation just 20 minutes before we arrived and did not have any expectations. If we had, they would have knocked them out of the park. Needless to say, I highly recommend. It's a great place to show off some out of town guests, too! Terrific food and service. Very chic atmosphere. A little pricey but solid portions, not to mention the food is fabulous. We had the fried calamari, New York strip+filet, brussel sprouts, creamed corn and French fries. All fantastic and would go back! 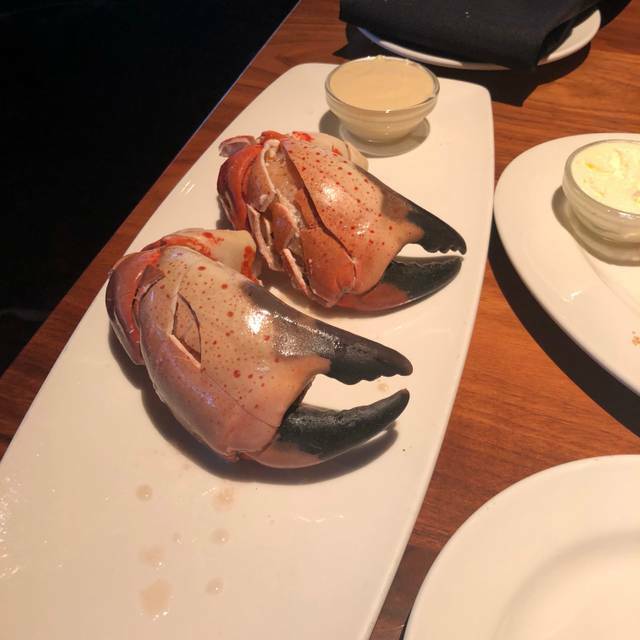 Have been going to Del Friscos for over 20 years. So disappointed with both my and my wife's steaks this last time. Had to send mine back 2 times to get rid of beet red middle and blood pouring out. Had asked for light pink center. Neither steak had any flavor. Took leftovers home, and ate with A-1 sauce. Way too expensive for mediocre food. Service was good and friendly! The new place is not near as intimate, warm or elegant as the old location on Spring Valley. Save your money, and go somewhere where overly priced food at least tastes great. Friend gifted some certificates to DFSES so an early Saturday evening dinner with spouse was a treat. Enjoyed cocktails and conversation at the bar and then were seated by our waiter Mason at a window side table for two. 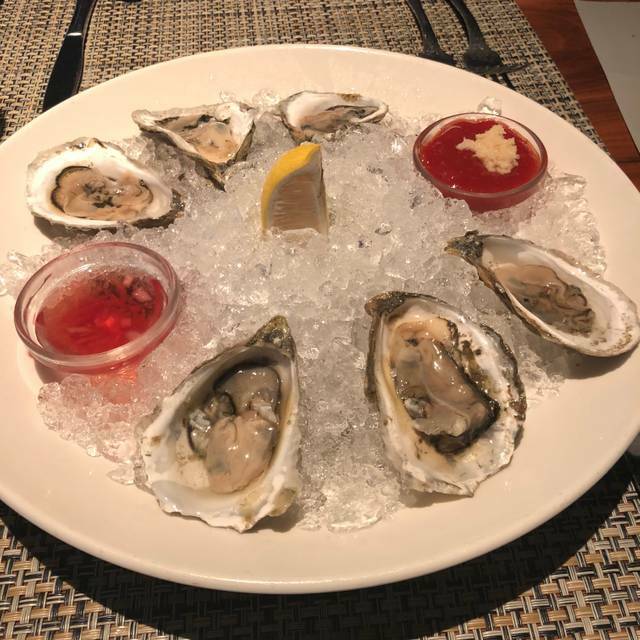 Mason provided excellent service and conversation along with a delicious starter of oysters and salad. The main course was Mason's recommended bone-in rib-eye with sides of asparagus and mushrooms and onions. The dinner ended with hoyte-toitey coffee and a scrumptious desert cake served a la mode. Quiet atmosphere at this time of the day allowing lots of attention from the staff. ABSOLUTELY IMPECCABLE SERVICE, THE FOOD WAS INCREDIBLE AND THE LEMON CAKE NOT TO BE MISSED! VISITING ON BUSINESS FROM THE UK AND WOULD DEFINITELY RETURN NEXT TIME IN DALLAS. THE VIP COCKTAIL ON ARRIVAL IS A MUST TOO, THEIR SPECIALITY PINEAPPLE INFUSED VODKA IS SUNSHINE IN A MARTINI GLASS! ALSO ASPARAGUS WITH PISTACHIO SIDE IS WONDERFUL AND THE STEAKS LITERALLY MELT IN YOUR MOUTH. DELICIOUS FIND, 10/10. 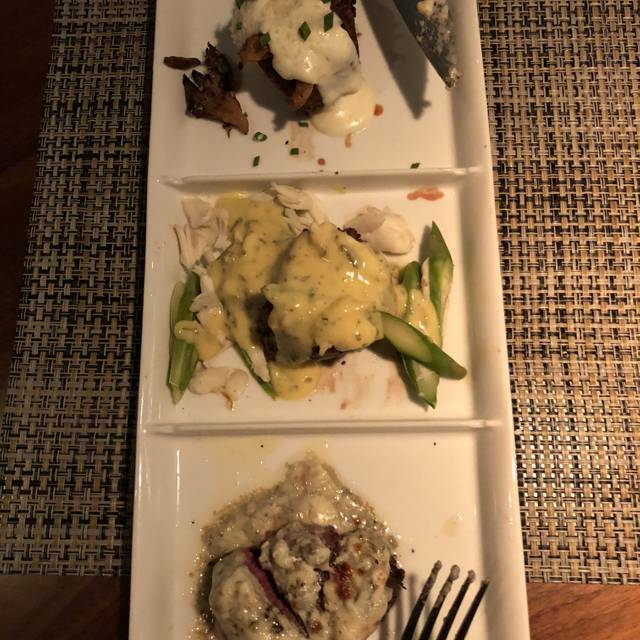 Steak was med instead of med rare. Sat us by elevator very noisy. Mushrooms were not that tasty. We came for our Anniversary. The staff made us feel so very special. 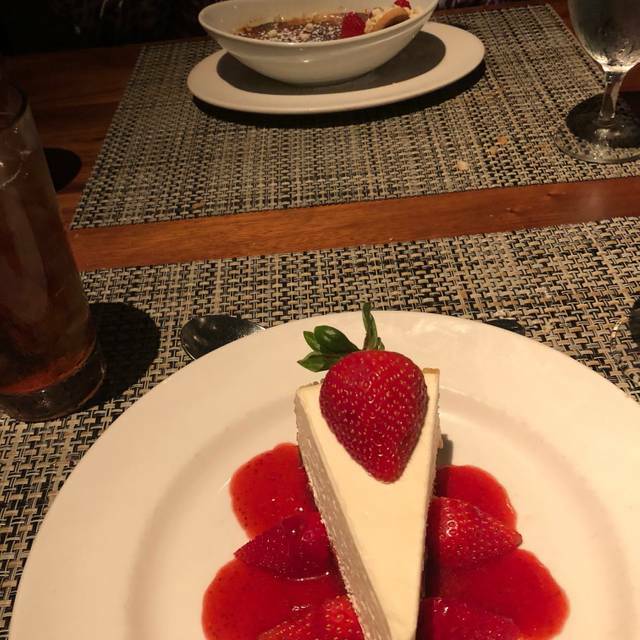 We received a hand signed note, fabulous service, delicious food, and a yummy dessert. This was a magical evening.